Totem animals, also called power animals or animal spirits, are spirit guides that take the form of an animal/bird/fish (they can also be mythical or extinct creatures) and embody the species’ archetype energy. A totem animal is sometimes discovered during a shamanic healing. The totem animal chooses the person, and the person accepts the healing energy. The totem animal knows what energy the person is lacking, and will offer its own energy to fill the void in the person’s life. At some point, the totem animal’s energy may no longer be needed, and it will leave. 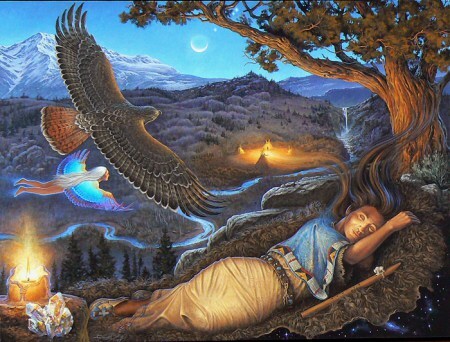 But in the indigenous cultures, they believe even after a totem animals has left, its residual energy remains, which means, a person may have many totem animals come and go, but they will become stronger after each interaction. You can call on your totem animal when you feel you need its power. This may be in the midst of a struggle or difficulty, or when you need the courage to face a situation.